With Fuji Reala no longer being made, I am trying to find a new favorite film. I thought it would be fun to shoot two different films at the same time. I loaded my Yashica LM with Kodak Portra 400 and my Hasselblad 500CM with Kodak Ektar and took a walk around a local botanical garden. Here are the results. 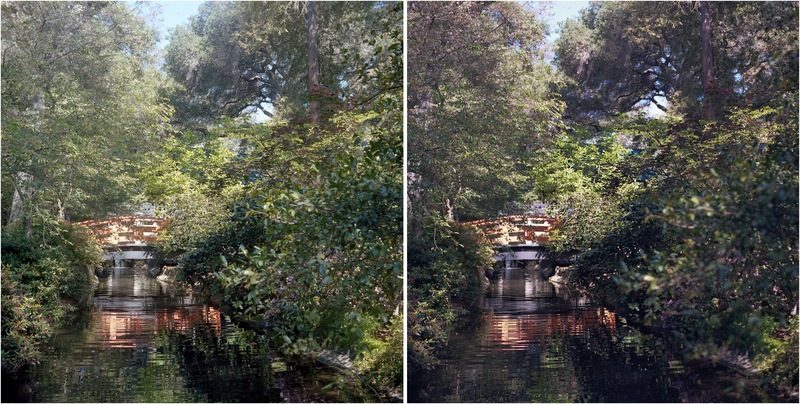 The Portra is on the left and the Ektar is on the right. I love the vibrance of the Ektar. I am excited to use it again. I also like the Portra. The color feels soft and gentle. I enjoyed this little experiment. I may do it again with some black and white films. What side to you like, the left or the right? Do you have a favorite film? i agree. 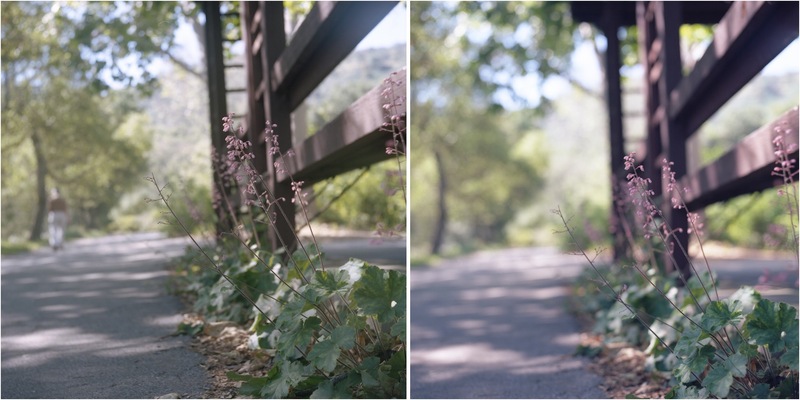 i love the colors and the contrast in the ektar, and the softness of the portra. I personally prefer the Ektar. Gorgeous details! Yup, I have to say the Ektar, love how it brought out the color. You make me want to dig out my old Minolta! I am leaning towards the portra, but only if it’s served with a nice Chianti and some fava beans. 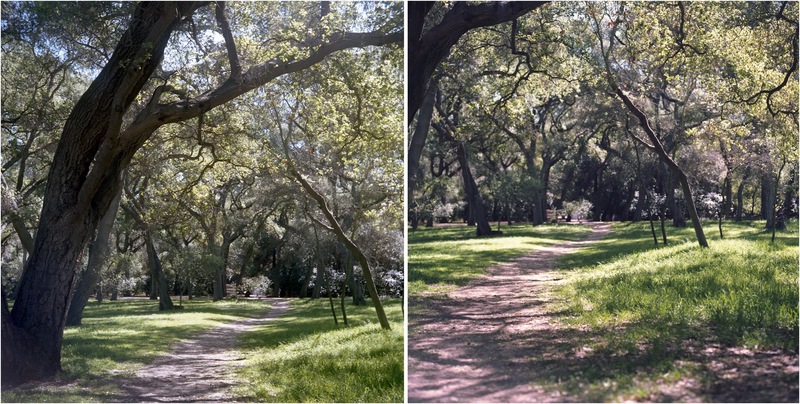 I like the right, the Ektar. I love the depth of colour. I have only developed one film from my Hasselbad so far and used the Portra that time round. I really liked it but as I was only getting use to the camera I only really got about half a roll of shots. There is a B&W Reala roll in it at the moment which is nearly finished. I think I will try to the Ektar next. 🙂 Thanks Staci. This is awesome. liking the ektar side best. enjoyed your little experiment. Thank You for very good comparison. It corresponds to my observation with those films. The Portra is really nice for portraits, When I try to overexpose it the colours of objects in focus becomes saturated and still good looking, while the objects out of the focus look very light. and washed out. Thank you soooo much for this!! I’d been looking for this information for days and could’nt find any relevant comparison. I am planning to order a bunch of b&w films but I wanted to start colour and couldn’t decide decide wether to chose portra or ektar. Now I am sure: ektar! I am so glad you found it helpful! Thank you and happy shooting! wow ektar is really way more colorful. okay sweet this was a big help i couldn’t for the life of me remember which roll of film i did was with ektar or portra but noticed that one was considerably more colorful and bright. must be the ektar! the only thing is i find 100 iso film to be more finicky than 400 am i wrong about this? Hello Dale! I find that the Ektar is more finicky than the Portra. Portra is much more forgiving. If you look at the negative, the name and ISO is printed on the edge of the negative. Happy shooting! Interesting comparison. I like the Ektar more for it’s vibrance for general shooting but also like the Portra for certain themes. Not trying to water down on your effort here but the test would be more conclusive if the same camera/lens were used for the two film stocks. We all know how different a picture can look with different lenses. Yes it’s not practical to do but that is the only way to draw an accurate conclusion. The Hasselblad adds a little of the sharpness, but the Ektar will consistently give you more vibrant color. 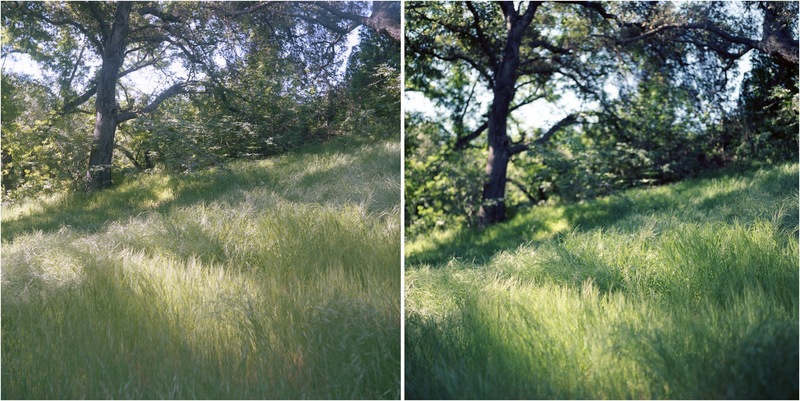 Ektar is sensitive to how you expose it, so it isn’t as reliable as the Portra. I have grown to love the consistency of Portra. It is more forgiving when it comes to exposure and it stays true to color. All that to say, I love my Yashica. It is light and easy to carry. Ektar comes out beautifully, but I think I love black and white film best out of the Yashica. Try a roll of Portra 400. You will have more play with the 1/500 shutter speed. Enjoy your camera. Let me know if you have any other questions. Our Yashicas were released the same year, so they are similar. i really love the saturation and vibrance of the ektar! absolutely my cup of tea. never tried it out so i just ordered some rolls and will give it a try with my Lomo LC-A 120.